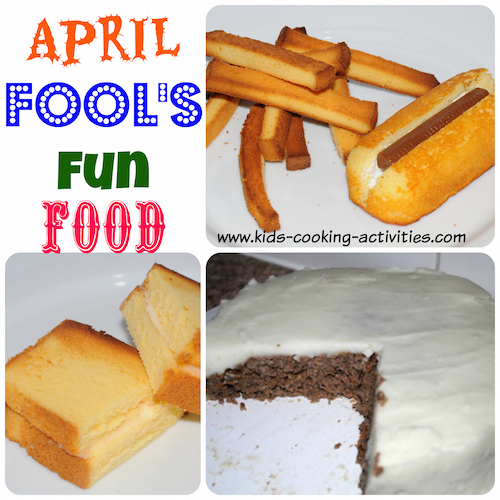 Kids April Fools Day recipes for fun and surprises. April Fools Day recipes are a great way to celebrate April Fool's by surprising your family or friends with something unusual. 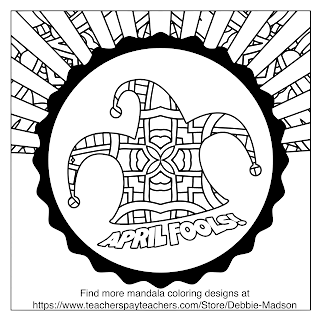 It is a fun day to play pranks and jokes but we also have some ideas and recipes to help you this April Fool's Day. Nothing gross, nothing yucky, just some silly ideas for fun and some yummy surprises. Spray oil in a hot skillet. Add a beaten egg with 1 tablespoon of milk. Cook about 1 minute or until egg is set. With a spatula take out of pan and roll up. 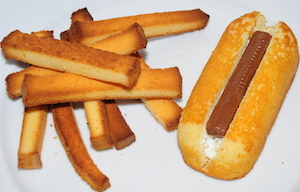 Place in a hot dog bun for an April Fool's breakfast. Spread plain or vanilla yogurt on a small plate and top with a half of a peach or apricot. It visually looks like a fried egg. Place each egg white in the beet juice for 1-2 minutes. Drain on paper towel. Set on serving platter. Continue with each egg white. In your bowl mash yolks. Add a spoonful of mayonnaise and 1 teaspoon mustard. Blend together and season with salt and pepper. 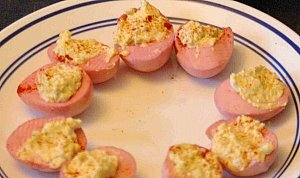 With a spoon fill each pink egg white with your yolk mixture. Sprinkle with paprika. Serve. Turn dinner into a fun April Fools day recipes by turning meatloaf into a celebration cake. Grease a round cake pan. Prepare meatloaf by mixing all ingredients together until well combined. 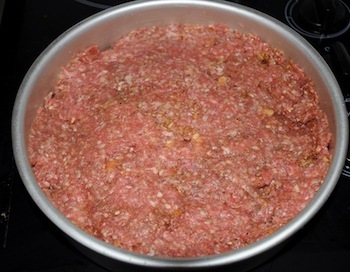 Pat meat mixture in round cake pan. Bake at 350 degrees for 20-25 minutes and test with a meat thermometer. While meatloaf is cooking prepare mashed potatoes. When meatloaf is done cooking allow to cool 5 minutes. Place a serving plate upside down on top of the cake pan. 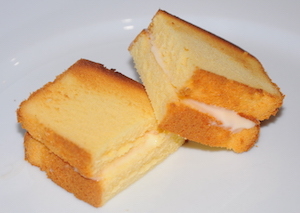 Invert the cake onto the serving plate by flipping the plate right side up. 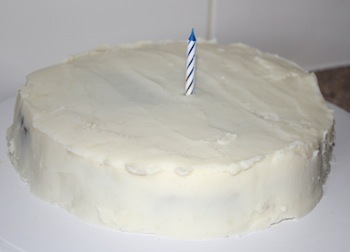 Frost with mashed potatoes and serve with a candle on the top to add to the cake appearance. Prepare a package of Jell-o whichever color or flavor your family likes. Pour into drinking glasses and insert a straw in each glass. Let set in the fridge. These look like drinks but when you try to drink them, April Fools its not a drink its Jello. Serve things backward. Dessert first or breakfast for dinner. With an ice cream scoop, scoop out ice cream about the size of a small or medium potato. Roll bottom and sides in hot cocoa mix. 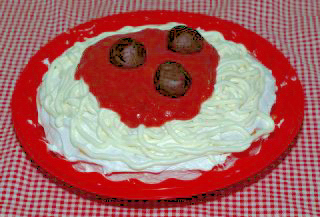 Serve with a spoonful of whip cream (resembles sour cream). If you have these ingredients available they make one of the funniest and easiest April fools Day recipes. Sandwich a peppermint patty with two vanilla wafers. Add a sliced red gumdrop to resemble ketchup. Add a sliced yellow gumdrop for mustard. Make teaching easier with our activities and recipes compiled in one easy to read format. Don't tell anyone your secret ingredient until after they give these April Fools recipes a try. For this surprise Jell-o recipe dissolve Jell-0, sugar, and salt in beet juice, water and vinegar. When dissolved stir in beets. Pour into serving dishes. In mixing bowl, add flour, sugar, baking powder, allspice, baking soda, cinnamon and cloves. In separate bowl add tomato soup, shortening, eggs and water until well blended. Add to dry ingredients and mix. Pour into greased 13x9 cake pan or 2 round cake pans. Bake at 350 degrees for 35 minutes or when toothpick inserted in middle comes out clean. 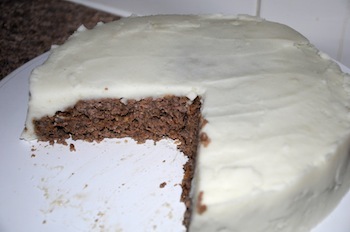 Allow to cool and frost with cream cheese frosting. Cook pinto beans and puree in a blender. In mixing bowl cream together sugar and butter. Blend in eggs, vanilla and pinto beans. Add dry ingredients together in separate bowl. Then mix into bean mixture. Pour into greased bundt cake pan or 13x9 pan. Bake at 375 degrees for 40-45 minutes or until toothpick inserted in middle comes out clean. Allow to cool and place on serving platter. Dust with powdered sugar. After your family or friends give this unusual cake a try and probably will love it you can tell them your April Fools day recipes secret ingredient! In bowl add flour, cocoa, soda, salt and baking powder. Stir together and set aside. In mixing bowl, cream together butter, vanilla, eggs, water and sugar. Add dry ingredients to vanilla mixture. Blend in sauerkraut. Grease a 13x 9 pan and pour batter into cake pan. Bake at 350 degrees for about 30 minutes or until toothpick inserted in middle comes out clean. Frost with chocolate frosting. Create your own April's Fools Recipe page. Do you have a favorite recipe your kids love to make? Or a recipe your kids ask you to make again and again? Share it with us! On to more seasonal ideas from April Fools day recipes. Copyright 2006-2019, Debbie Madson, Madson Web Publishing, LLC - All rights reserved. The material on this site is for educational purposes only. Copyright 2006-2018, Madson Web Publishing, LLC - All rights reserved. The material on this site is for educational purposes only.